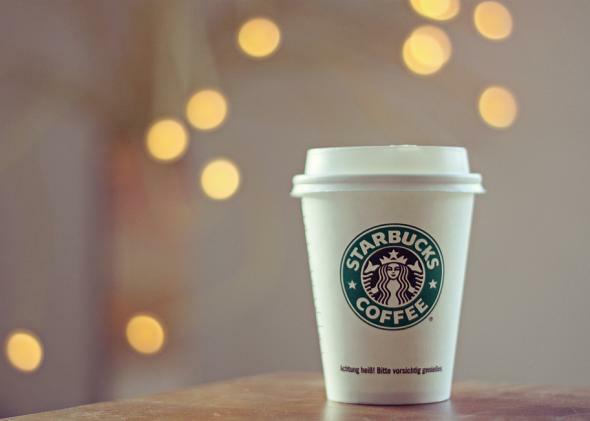 Starbucks Q2 2015 earnings: Strong sales and record loyalty sign-ups. The latest quarter was a “stunning” one for Starbucks, CEO Howard Schultz said on Thursday. The company grew revenue by 18 percent to $4.6 billion to beat expectations while profit jumped 16 percent. Sales of food were strong, with breakfast sandwiches in particular recording 35 percent year-over-year growth. But perhaps more important were the numbers Starbucks gave on its signature My Starbucks Rewards program. Last quarter, a record 1.3 million new members enrolled in the loyalty program to bring total active sign-ups to 10.3 million. “We are now seeing large numbers of last holiday’s first-time gift receivers become loyal, engaged, repeat Starbucks customers, supporting and contributing to the growth we are seeing across our global base,” Schultz said on the company’s earnings call. More than $1.1 billion were also loaded on Starbucks cards during the same period, for 19 percent year-over-year growth. “We know that increased Starbucks cards sales drive increased My Starbucks Rewards membership, and in turn increased traffic and sales in our stores,” Schultz said. Much has been made of Starbucks not just being a food company but also a tech company. That was certainly a theme Thursday. Kevin Johnson, Starbucks’ recently appointed president and chief operating officer, hails from the tech industry. Starbucks is now processing more than 8 million mobile payments per week. Its mobile order-and-pay program, which lets customers place orders ahead of time and then pick them up in-store, has been added to more than 600 stores in the Pacific Northwest and is exceeding all internal goals, company execs said. Once rolled out nationwide, the pre-order program is expected to be a major driver of store traffic in the U.S.
“If there were one word to describe Starbucks’ record performance in the quarter, I think it would be innovation,” Johnson told investors. Sure, that’s corporate cheerleading. But it’s an awfully tech-y thing to say, too.